Telecommuting takes many forms, including remote workers, virtual employees, multisite employees, or those who are just considered "working from home" — all terms used to describe an employee whose primary work is conducted away from your primary worksite. No matter the form, telecommuting has many benefits for both businesses and employees. Employees typically embrace telecommuting because of the work-life balance. It eliminates commute time, can increase an employee’s job satisfaction and the ability to work in a comfortable home setting. For businesses, it provides opportunities to recruit outside of a geographic area, makes the company more attractive in an increasingly competitive job market, increases employee morale, reduces office expenses and space, and increases operational efficiencies. But with all of these positives, telecommuting creates unique management challenges. Launching your workers away from the home base takes thoughtful preparation, and you can take some simple steps to minimize the legal risks created by telecommuting employees. If you currently have a virtual workforce or are considering one for the future, take a hard look at your company policies and make sure they incorporate considerations for the virtual employee. In addition to basic company expectations, review all policies contained in your employee handbook to determine whether and how they need to be adapted. The handbook should also outline your company's criteria for selecting employees to participate in telecommuting and revised policies as needed to address the employment laws of workers in other states. that you have the right to revoke the employee’s right to work from home at any time and for any reason. You will also want to create strategies for monitoring employees’ work-related activities while working remotely. This will likely require collaboration with your IT staff to determine best protocols and a notification in your written policies about your right to monitor such activities. It would be wise to review relevant state privacy laws related to telecommuters’ right of privacy when working from own home. Finally, provide training for your management staff so they can effectively manage remote workers. There are both big-picture and daily concerns when it comes to compensating telecommuting employees. From a big-picture perspective, you will need to evaluate each position for nonexempt or exempt status, resisting the urge to change the classification based on what is most convenient for your business or what the employee wants. Consult with counsel to ensure that your classifications are correct. From a day-to-day perspective, once you have identified the status of each position, ensure that your non-exempt employees use a timekeeping system to record their actual hours worked. This is a good time to evaluate your overtime policy. For example, you may want to consider restricting overtime without prior approval (while you will still be required to pay all overtime worked, this gives you the option of responding to violations to the policy through disciplinary action). Finally, be proactive about addressing how you will handle pay for travel time for the telecommuter. Just because your employees are not in your physical workspace does not mean that you can ignore their safety. Both federal and state laws may obligate you to provide a safe working environment. To that end, consider whether it’s necessary to conduct a home visit to evaluate the working conditions of the employee. 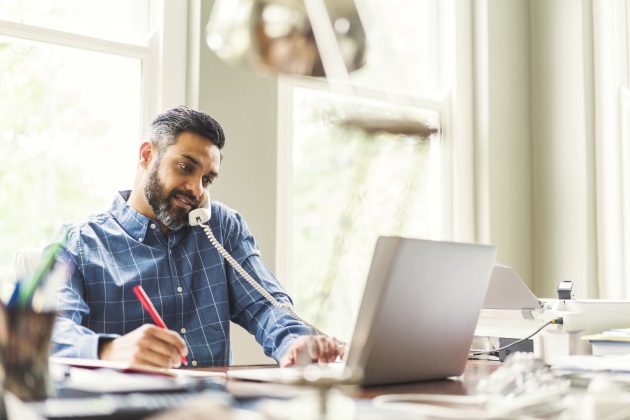 You should also notify your workers’ compensation carrier of the working conditions of the telecommuting employee to determine how coverage is impacted (and whether they have recommendations to improve safety). Finally, take into account what kind of liability insurance coverage you have in place for your remote workforce, and whether you will require the employee to maintain homeowners or renters insurance. If you give thoughtful consideration to your telecommuting program, you will probably begin to take into account a whole host of possible concerns beyond what has been covered in this article. For example, what equipment (computer, phone, internet, desk, chair, supplies, etc.) will you provide for the telecommuting employee’s workspace, and what will they be required to provide on their own? Have you evaluated the tax implications and other state law requirements for a telecommuter whose home office is in another state? How will you ensure the privacy of company information available to your telecommuting employees? Will you provide secure login capabilities? Do you have protocols in place for handling and responding to potential data breaches? These are but a few of the additional questions that might arise when you take the time to consider all of the angles. If you don’t have a telecommuting policy and have never permitted employees to work from home, there could still come a time you will need to consider the option as a reasonable accommodation to qualified individuals with disabilities. Requests to work from home due to a physical or mental impairment must be considered as a reasonable accommodation option under the Americans with Disabilities Act (ADA) and some state laws, even for businesses that have no existing telecommuting program. However, before approving the request, you should evaluate whether the employee’s position requires regular on-site attendance as an essential function of the job, in which case you may not be required to offer the telecommuting option. Before you make any decisions, carefully consider the essential functions of the job, the geographic location of the employee, your history of permitting other temporary work-at-home arrangements and consult counsel for guidance. As with any other workplace relationship, employers should consider all of the applicable employment laws when developing and managing a telecommuting program. Following the guidance in this article should give you a good start for a mutually beneficial and compliant program.